Interview over a dozen thought leaders from business, NGOs, and foundations to identify the most strategic leverage points for funding sustainability initiatives. 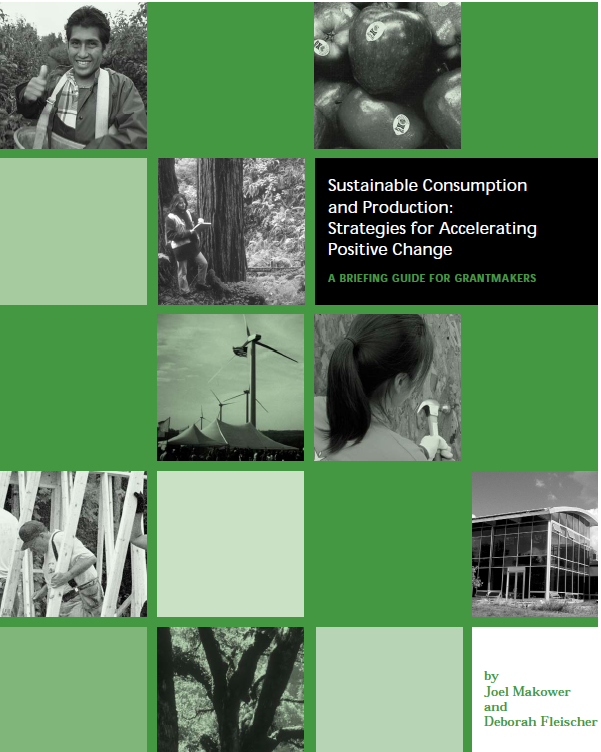 Wrote Sustainable Consumption and Production: Strategies for Accelerating Positive Change for funders to guide their funding strategy. I partnered with Deborah on a major research report several years ago and was duly impressed by her many abilities: to interview a diverse set of stakeholders, synthesize the information, conduct in-depth research, and think strategically about sustainability. Deborah is an all-around great asset who can provide value to any organization, company, or project. Green Impact is a Bay Area sustainability strategy and communications consultant that helps companies, universities, land conservation organizations and NGOs transform green intentions into action. We make green happen by guiding organizations to build a brand and culture rooted in sustainability. Keep your eye out for an email from Deborah Fleischer.